Ever wanted to play a game that launches quickly and allows you to chill out after heavy day, or shorten the time while waiting for your CS buddies to come back? If yes, The Tanks is your best solution! My game is designed to by simple, yet complex and give you ability to customize gameplay to fit your needs. Wanna quick round to warm up before WoT battle? Set wave count to 10 and select boss you want to challange. Need to record youtube challange? Set your health to 1 and wave count to 99 and try to survive! And finally, if you want to be a part of a story, choose campaign mode and play pre-designed missions. Customize your tank, choose chassis, turret, bullet type, camouflage and roll into battlefield! My main idea was to make game simple, but giving a player a lot of possibilities, game modes, diffrent approaches. 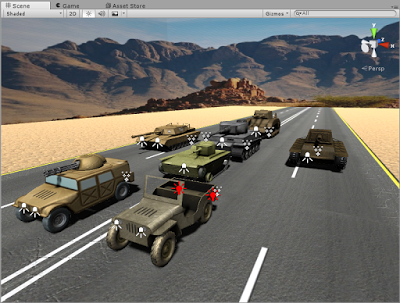 Player is able to choose different weapon types and tank chassis. With every choice, the gameplay changes. Wanna be quick but fragile or slow but hard to kill? Devblog: Mambagames.blogspot.com - here you can play The Tanks for free! The Tanks update 0.7 alpha is out! 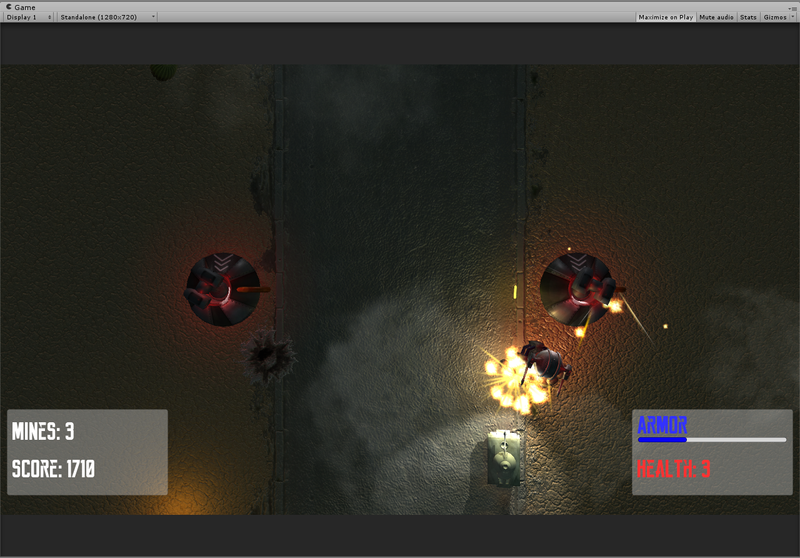 1) First of all - new GUI and abillity to turn the turret of the tank. 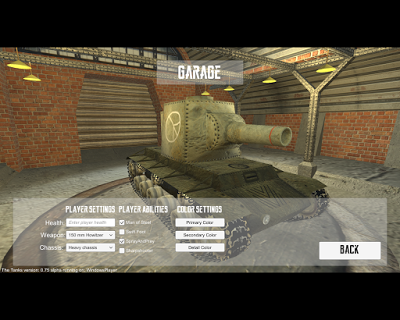 All game modes have updated GUI and there is new menu where players can customize their tanks. You can now rotate turret and shoot at any direction (as long as the gun you use isn't fixed in place). New turret feature changed game balance a lot and my future work will be focused on making game challangeing, but not unplayable. For now, because difficulty model is present, but not yet set, the game is little too hard to play. 2) The other thing that has been reworked is environment system. It's still under development, but core elements are already in the game. I have added road system (which will be improved soon - you may notice some glitches on roads now) and better environment system: possibility to set colour of the day and night for every environment type, environment sets that can be randomly generated and a copule of new environment elements. Next update will propably be focused on environment. I am currently working at a copule of new models. 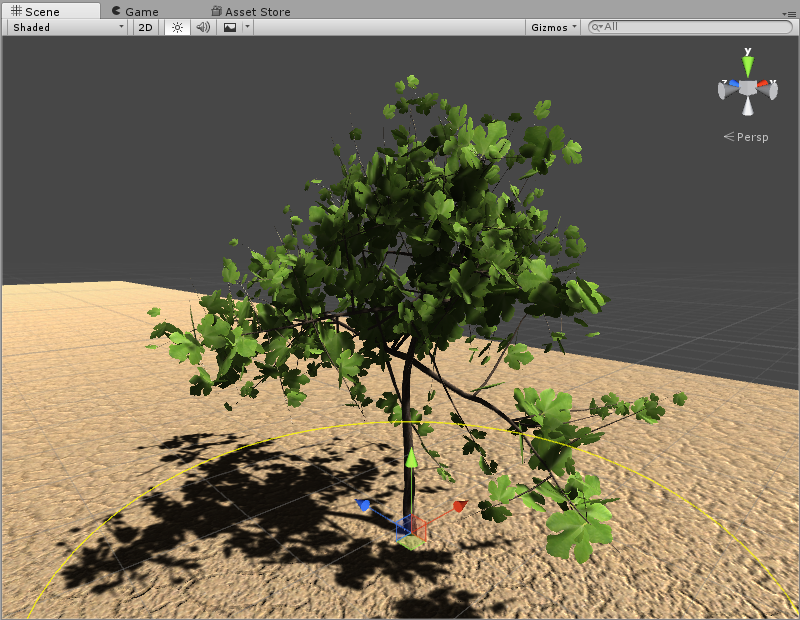 I will also add a bunch of new trees, bushes and other nature features. 3) A lot of new enemies. Mainly heavy tanks. And era-based system of categorizing enemies. 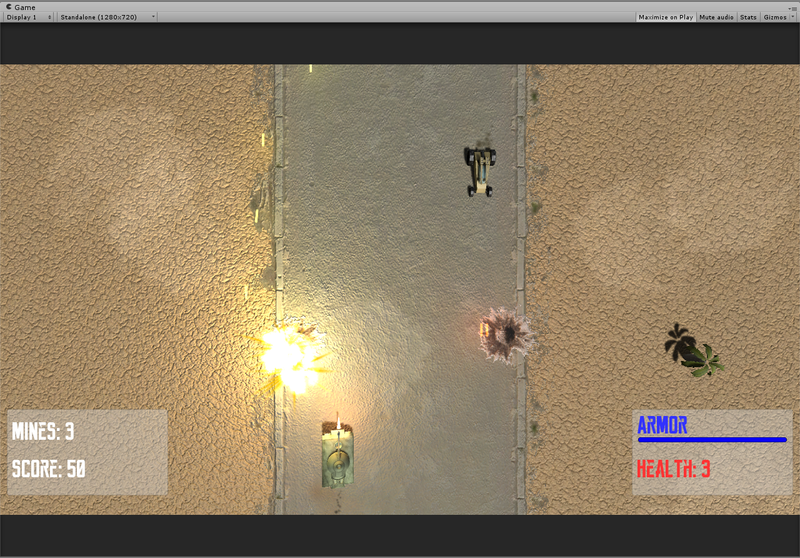 Heavy tanks are not too different yet, but I tried to at least change their turrets rotate speed and main speed. There are still enemies that I am working at. For example Panther tank is still under development, and T-34 and Mirage tank models are not finished. 4) Network support. I started to make network elements for The Tanks. I have created entire logging and authenticating service, but I don't have any server yet, so this parts are still disabled. Bored? Want to test something big? Come and check my latest game update! There is a lot of new features added to the game since last playable update! Hi! I have not posted anything new here for a while, so now it's time to show you some new content that has been already added to the game! Let's roll! Hi! It's friday evening and time to talk about game making progress.